Shampoo to refresh violet color-treated hair. Color recovers its shine and the richness of highlights. WAA™: Natural wheat aminoacids that act from the inside of the hair fiber. 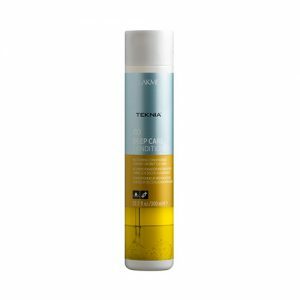 Complex with high moisturizing power, aminoacids are absorbed deep into the hair fiber restoring optimum moisture levels. Hair recovers its equilibrium and the shine, softness and flexibility of healthy hair are restored. Antioxidant and protective against environmental stress and free radicals. Ultra soft hair that is easy to manage. Protects scalp.